There are many small organizations, companies and start-ups, entrepreneurs in India. All these are known as Micro-units together. It has been observed that these micro units lack financial support. If the financial support is given, it can grow and much better than they are currently. MUDRA, overall shape "micro units Development and Refinance Agency Ltd" is an institution that was set up by the Indian government in the management of PM Sh. Narendra Modi. The fulfillment of all the financing needs of Non companies small and medium enterprises - MUDRA Bank has set up only one goal in mind. Registration and regulation of MFI units. A special regulation was established and named as Pradhan Mantri Mudra Yojana (PMMY) into life. All required tasks and functioning of Mudra Bank will be carried out under this scheme. Micro-units or small companies had to be categorized to signify the growth phase, development and financing requirements. Three categories have been created for this purpose namely "Shishu (Child-category)", "Kishor category" and "Tarun category". All restructured RRBs with net NPA within 3% (relaxable in meritorious cases), with profitable operations and notcarrying accumulated losses and CRAR> 9% are eligible under Pradhan Mantri Mudra scheme. 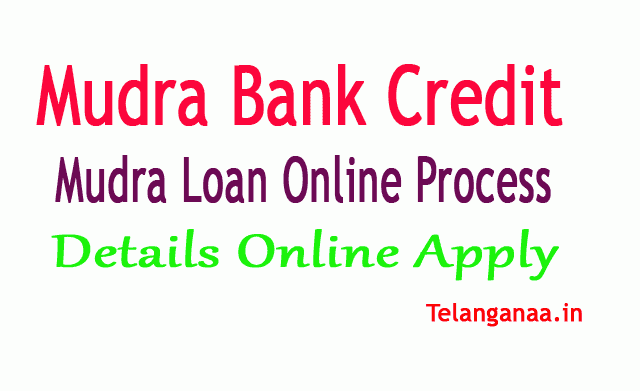 Here the step by step information on the application to the bank loan Mudra Yojana is for all categories is Shishu, Kishor and Tarun. Note - You must have a business idea preparation before use. You have to present your business idea along with the registration form. After completing the above steps, the loan is sanctioned and will be provided to the loan seeker available.